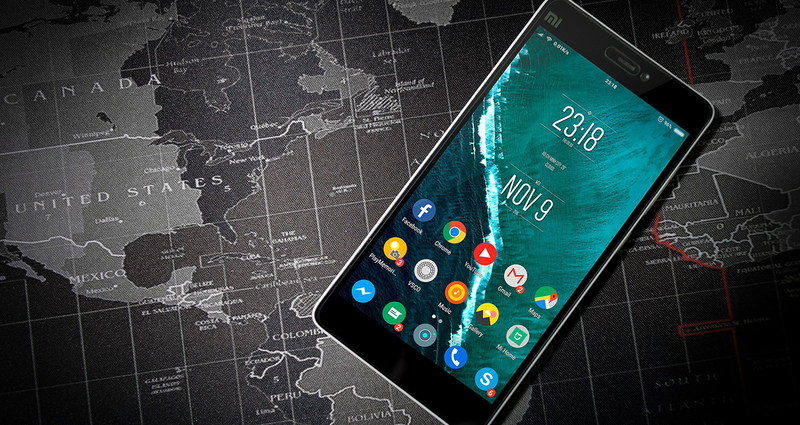 Without any doubt, VPNs have become mandatory in today’s digital world, especially considering everything that happened to Kodi in 2018. 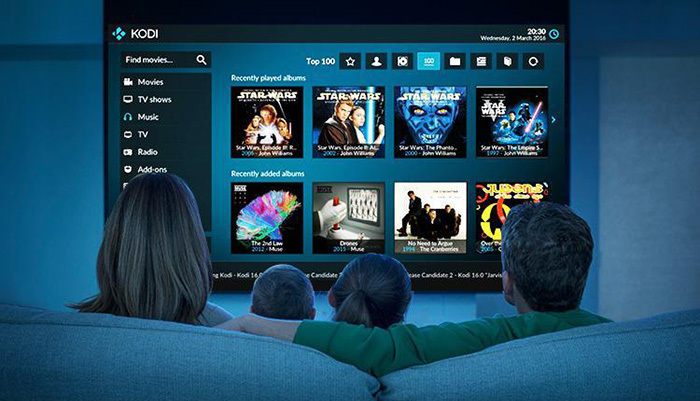 Copyright infringement notices, increasing pressure on Kodi addon developers, and even Kodi malware were some of the things that plagued the world’s most popular home theater software during the last year. However, there’s one solution to all these problems – Virtual Private Network applications, and we’re going to talk about the installation of VPNs for the latest Kodi 18 Leia or any later version. We’d like to highlight that you can’t install a VPN directly on Kodi. Instead, you need to install a VPN on your device first. Then, launch this application, connect to a secure server, and that’s how all your Web data becomes encrypted and safe. This means that you’ll get to use Kodi and reap all the benefits of VPNs at the same time. Also, we hope that you’ve already seen our article about the best VPN for Kodi in 2019. In case you haven’t, we strongly recommend to give it a read. For those who are in a rush, we’ll provide some basic information on why you should use a Kodi VPN, and how to pick the best one, so take a look below. You are probably using a range of third-party addons for Kodi to access different kinds of media streaming libraries. In some countries, these libraries are considered illegal. However, the truth is that they exist in a gray area, so to speak. This is because Kodi addons are simply a medium that connects users with media sources. As such, they do not host those files. As a user, you don’t host these files either. Nonetheless, it’s better to be safe than sorry. In some countries around the world, Kodi users have reported receiving copyright infringement notices. Sometimes, these can be a financial burden, which is a cause for concern. This is where VPN applications come into play. They mask your IP address so that it appears you’re connecting to the Web from a different physical location. Additionally, they encrypt your connection and make it impenetrable to third parties. This includes your ISP and malicious attempts as well. For just a couple of dollars per month, you can be sure that you’re on the safe side. How to Pick a Good VPN for Kodi? The easiest method of using a VPN with Kodi is to use a native application. As such, a VPN is installed natively and keeps all your applications protected as you browse the Web. 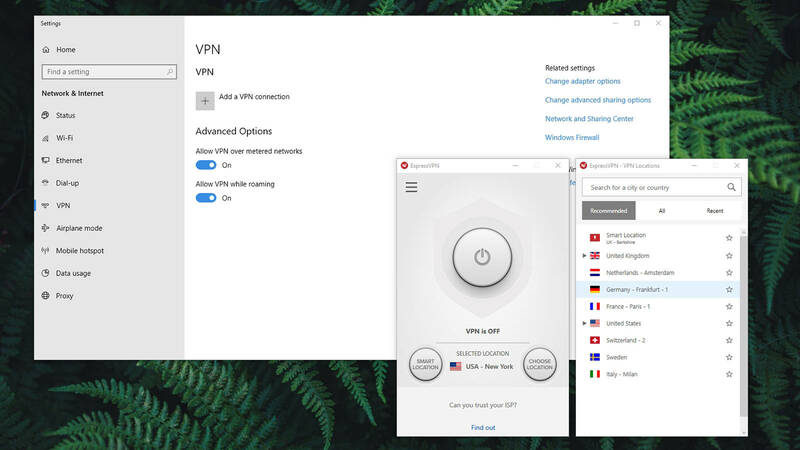 You need to pick a suitable VPN service, sign up, and install it on your computer, smartphone, or tablet. To help you to get started, you can check out an overview of the best VPN services. We have also published a helpful guide on best Kodi VPN, teaching you all you need to know about this kind of applications. This also means that you should pick a VPN that has wide compatibility with different platforms. One of the most attractive options is ExpressVPN. Most importantly, you can install it on Windows, MacOS, Android, iOS devices, and even Amazon Fire devices. Using one account, you can be protected no matter what platform you’re using. Check out the quick jump links below to learn how to install a VPN for Kodi in 2019, covering different platforms. There are several methods of installing a Windows VPN for Kodi. The simplest one is to use a native application that comes with an Installation Wizard. This method consists of installing the chosen VPN just like you would install any other Windows application, which should always be your first choice. Of course, considering that Windows is a hugely capable platform, there are additional ways to install VPNs. This can be done by using the operating system’s built-in tools to configure your VPN manually, or you can go for OpenVPN which brings a rustic but fully functional user interface. 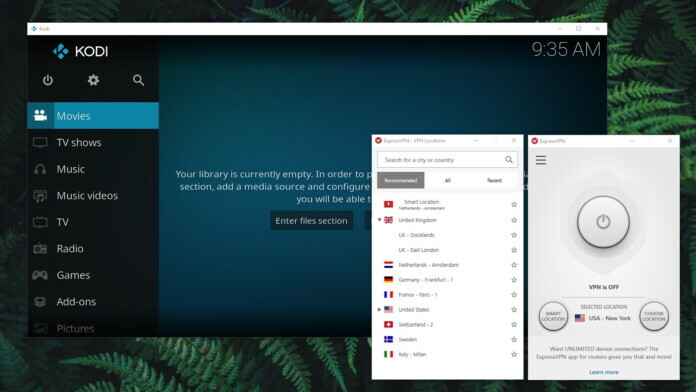 To explore all your options on how to install a VPN for Kodi, we’d like to recommend our article on installing a VPN on Windows, where you’ll need everything you need to know. Similar to how you would install a VPN on other desktop platforms, MacOS brings a couple of different ways this can be done. The simplest method is to go for a Mac VPN that comes with a native application. You should also know there’s a way for non-native VPNs to work on Mac – but only if they supply OpenVPN files (which is often the case). And lastly, you can go for manual configuration, which isn’t the simplest method, but it’s as powerful and useful as any other. We have a dedicated article on how to set-up a VPN on Mac, so make sure to give it a read. You will be happy to know that the Amazon App Store offers a nice range of native VPN applications. The process of installing these is quite simple, as you have to find the one you want to install and FireOS will do the rest of the job of downloading and installing the VPN. We should also know that as long as your Kodi VPN has a native Android app, you’ll get to use it on any of Fire Stick product. This is done by ‘sideloading’ the app, which should take only a few minutes of your time. For additional information, make sure to read our article on how to set-up and install a VPN on Fire TV / Fire TV Stick. Please note that this method can be used on all FireOS media streamers. Android phones are known for their high level of customization. And since you can install Kodi on Android, you can also find a fully-fledged VPN as well. Once again, the simplest way is to download the chosen VPN from the Google Play Store. For some reason, some VPNs can’t find their way to the Play Store. However, you will get to download their APK files (from sources other than the Play Store) to your Android smartphone and install them that way. This applies to other flavors of Android as well, such as Android TV. We’ve prepared 3 different methods of installing VPNs on Android. So, make sure to click on the provided link to learn more. Tech experts often criticize Apple for making their iOS a fairly closed platform. However, even Apple can’t deny the numerous benefits of VPNs. With this said, there are a couple of ways to install a VPN for Kodi on iOS. Similar to how things work on MacOS, you can go for an official iOS app or you can use the OpenVPN app. However, let’s not forget to say that iOS is equipped to handle VPNs from the ground up, which means that you can install a VPN for Kodi manually. And to learn more, here’s our comprehensive guide to installing VPNs on iOS devices. Last but not least, you can install a VPN for Kodi directly on a router. 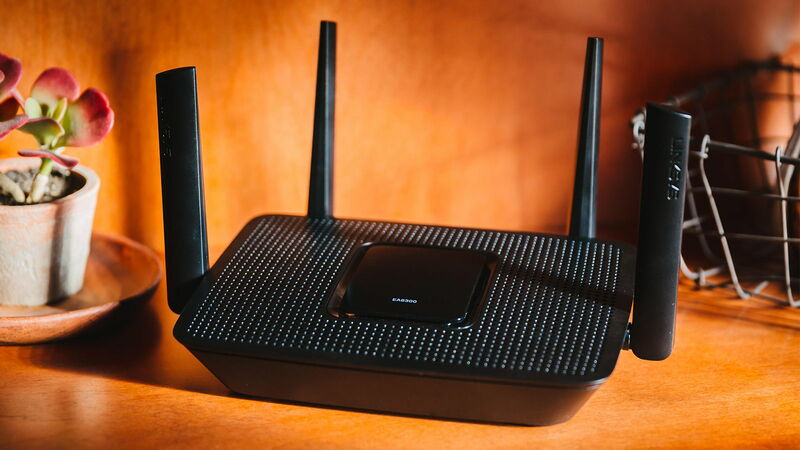 This way, every device that you connect to that router will receive the same level of protection. This means that you can cover your entire household at once, which is why this is often the best way to reap the numerous benefits of VPNs. We have a dedicated article about installing a VPN on routers, where we explore the topics like choosing the correct type of router, picking a VPN service, and plenty more. Once you install a VPN on your router, you’re free to use Kodi on any device, and you’ll unblock its content from the get-go. While we have your attention, we’d like to recommend a few VPN-related articles that you’ll want to read. So, check out the following suggestions. How Do VPNs Really Work? We sincerely hope that you managed to learn how to install a VPN for Kodi in 2019. If you have additional questions, don’t hesitate to post a comment. We are always glad to exchange ideas with the rest of the Kodi community. If you think other Kodi users might benefit from reading this article, make sure to share it on social networks. Also also, follow TechNadu on Facebook and Twitter. Thanks!